This isn’t an ordinary book about music and how it can affect your life. 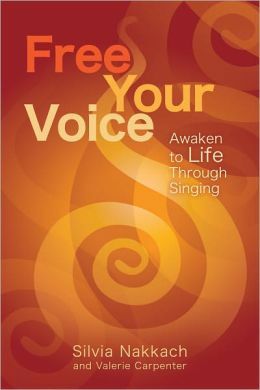 It’s an extraordinary book on how you can use music to transform your life. Silvia Nakkach teaches us that we all have the ability to sing and we are all more than capable of doing it. We may not win American Idol with our voice, but that shouldn’t stop us from enjoying the happiness and healing that we receive when we do it. From the very beginning, Nakkach encourages us to literally build an altar to our voice. She teaches us how to care for our instrument (our throats) and then gives us step by step instructions on how to use it. Nakkach uses uniquely beautiful exercises designed to touch your chakras and tune into your central channel energies, much like striking a tuning fork. She introduces the reader to chants such as Hindu, Buddhist, and a few African chants as well as yogic techniques for bringing healing to our chakras. She gently encourages us to let go of our preconceptions about our voice and use it to our full potential. Most of all, this book is just plain fun. I had a great time playing with Buddhist chants, and through her exercises, I even made my throat vibrate like a didgeridoo. The dogs, of course, were appalled. This is a book that won’t spend much time on my shelf. I adored it and will read it over and over again, and work through it over and over again. I even plan on creating a small altar just for my voice. I truly hope everyone enjoys this book as much as I did.